Closing in on the 10 year mark of our 09's production..We have seem the numbers on the original production run for the silver, orange, and yellow. So how many.of these bike are actually left on the road? Would you think a.10% loss would be seen due to wrecks, repaint, or just.trashed? After the 2009 model year they were never made ever again. At least we know that the yellow one's are the most rare bird of the lot. Yes but orange is the fastest!! Yellow rarest (yes) Orange fastest (maybe) But Silver has the most torque! The O&B is a stunner for sure, still one of my favorite bikes to this day. My friend has the silver one. 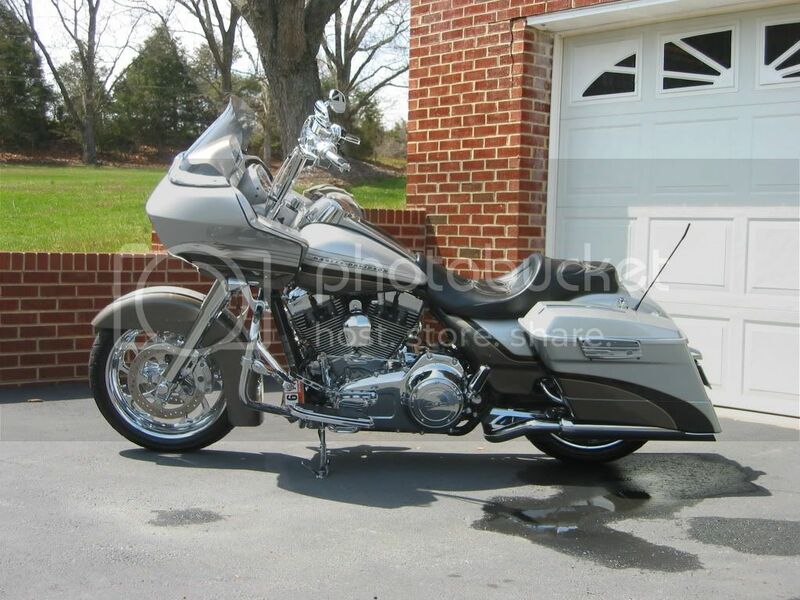 I have the '13 CVO Ultra with the same 3 paint colors on it. Our bikes look pretty cool together. We rode to Ripley Ohio last year and stopped at a river side bar and when we walked back to the bikes there were the other 2 colors parked next to it. We have a pic of that. Cool moment. And only 369 produced for the US market!!! (1 OF ONLY 369 US) "LAST YEAR OF THE HAND BUILT"